We spend a lot of time in the car these days. With two kids in school full-time, we find ourselves traveling every day to and from school, dance class, play dates, grocery store, and more. Plus, since the grandparents live about an hour away, we get in the car once a week and travel to visit them. To keep the kids comfortable & entertained during all these car trips, I made a DIY Activity Tray. 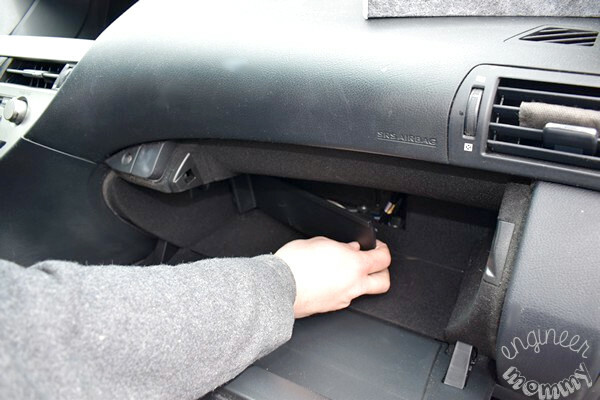 And to make sure the air we are breathing in the car is as clean as possible, we installed the FRAM Fresh Breeze® cabin air filter (the process is so easy and I’ll walk you through all the steps). 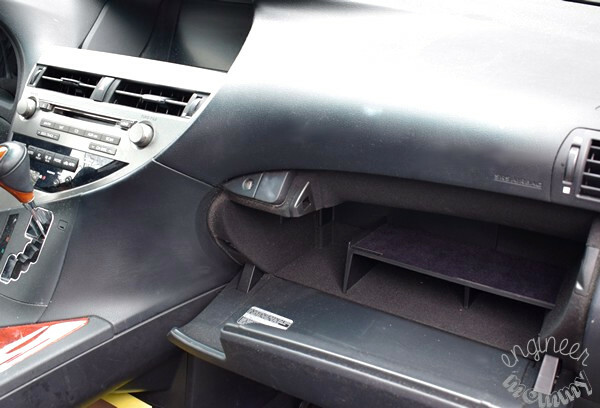 The cabin air filter cleans the air that’s inside the vehicle, but it’s sadly often overlooked by many people. Replacing the filter can be done quickly & easily in under 10 minutes, so it should definitely be a part of your regular vehicle maintenance. 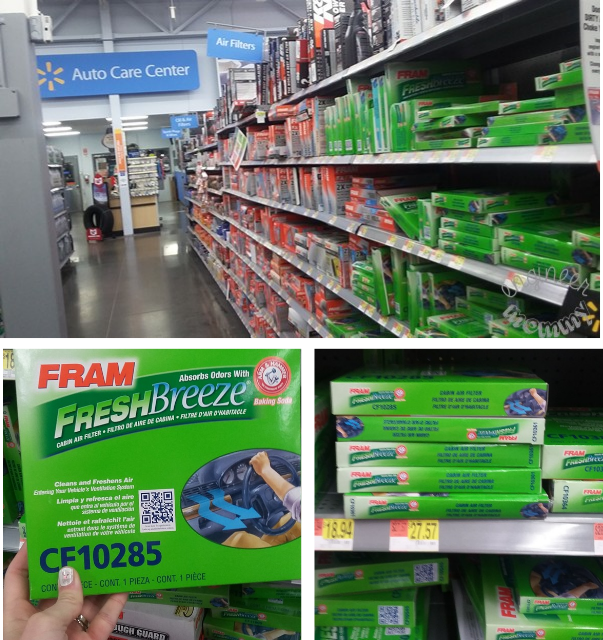 Last week, when I was at Walmart picking up some household essentials, I purchased the FRAM Fresh Breeze® cabin air filter. I love that this air filter protects my family against dirt, dust and allergens. One thing that I recently learned is that the air inside a vehicle can be up to 6X dirtier than the air outside. Isn’t that shocking? 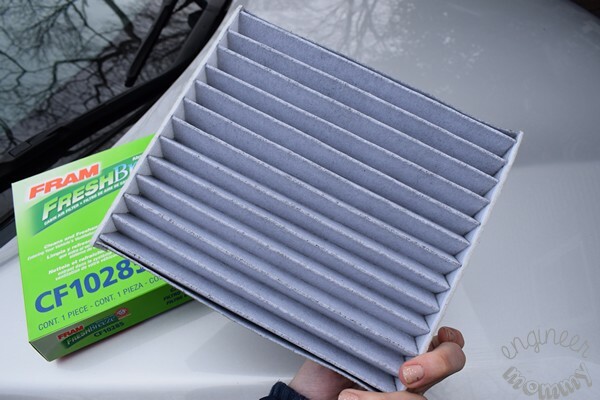 What happens is that contaminants that enter your vehicle with outside air can become concentrated- this exposes passengers to higher levels of dust, dirt and allergens than outside the car.The FRAM Fresh Breeze® cabin air filter is effective at filtering up to 98%* of dust, dirt and allergens from entering your vehicle. 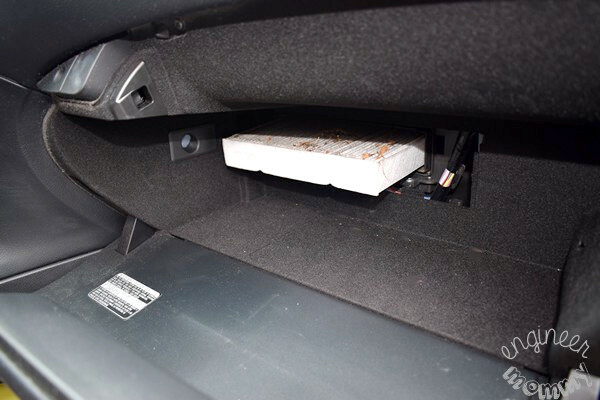 To replace the cabin air filter, we first opened our glove box compartment. 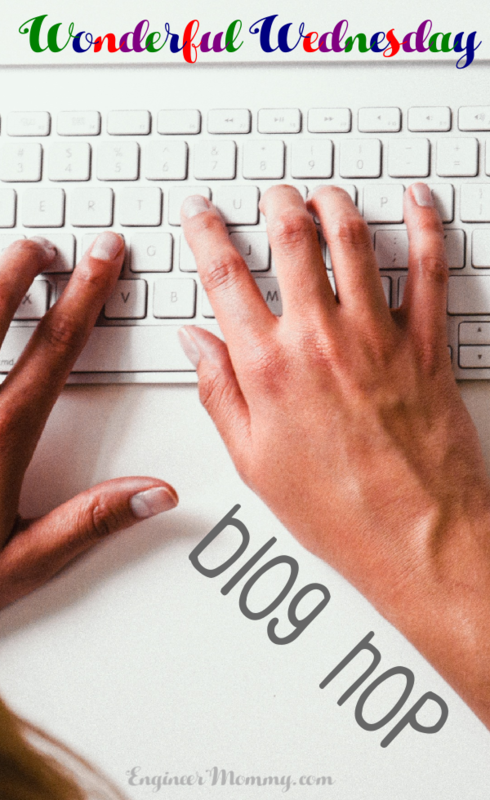 Keep in mind that the cabin air filter should be changed every year or every 12,000 miles. As always, it’s best to follow the recommended maintenance guidelines as noted in your vehicle owner’s manual. We had to remove an adjustable shelf and pull in the tabs on the filter compartment cover. 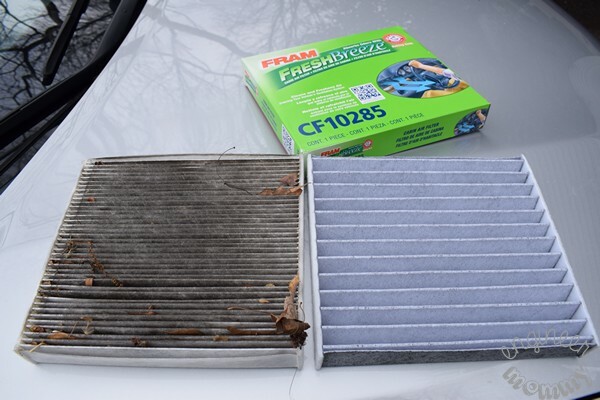 One thing that I really love about the FRAM Fresh Breeze® cabin air filter is that it’s the only cabin air filter with the natural deodorizing qualities of ARM & HAMMER® baking soda. Not sure how to replace the filter in your car? Don’t worry- FRAMFreshBreeze.com offers installation guides (via video and written instructions) for the different filter models. There is even a super useful texting feature, where you can get your installation video sent directly to your phone. Talk about convenience! Check out this link here to see which filter you need in your vehicle. You can see the old filter peeking through. Do you see how clogged the old filter is? Check out the difference between the old filter and the new one? Gross! Replacing this filter really gives me peace of mind knowing that my family will be safe and that the air inside our car will be as clean as possible. I am going to add a reminder on my calendar to replace the filter every year. I don’t want the filter to ever get this dirty again. Now that the air inside the car will be clean, it’s time to turn my attention to keeping the kids entertained during those car trips. 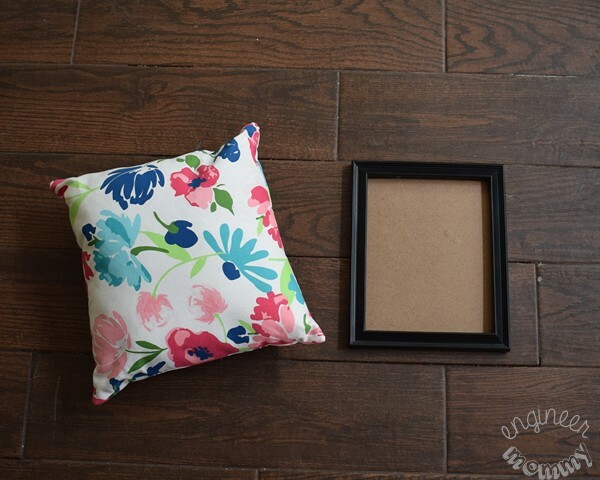 The first step for this project is to find a pillow and picture frame of similar sizes. My pillow was about 12″x12″ and my picture frame was 8″x10″. That’s close enough and fine for this purpose. 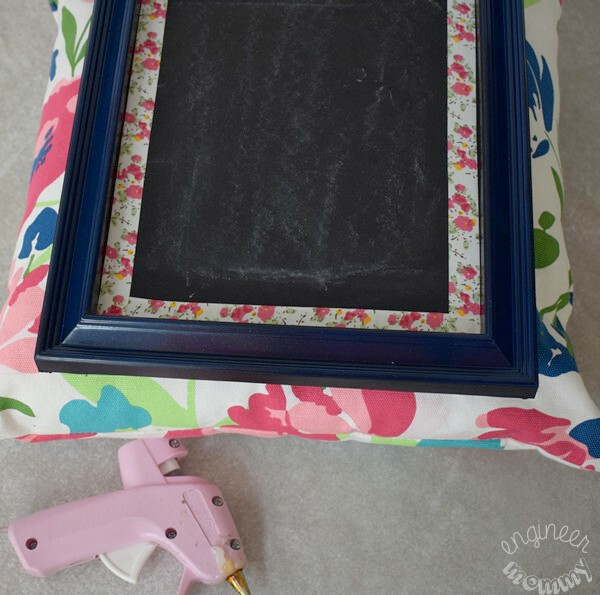 Take apart the picture frame, separating the frame from the backing. 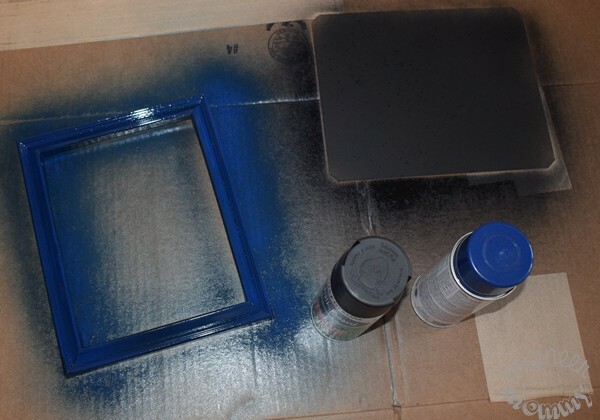 Spray paint the backing with a chalkboard paint. 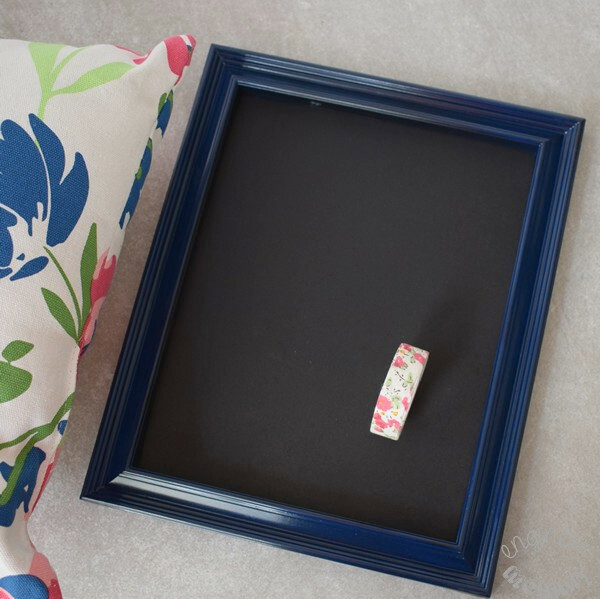 Spray paint the frame with a navy blue paint (or another color that’s complementary to your pillow). 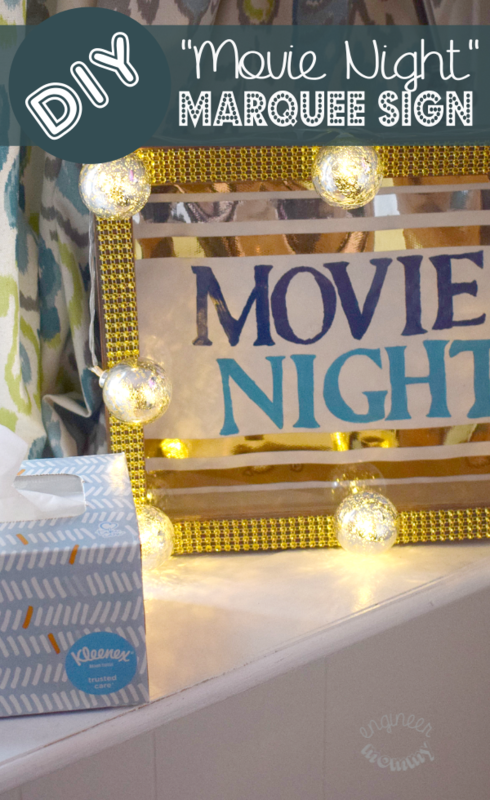 Gather the rest of the supplies we will need, including hot glue, scissors and washi tape. 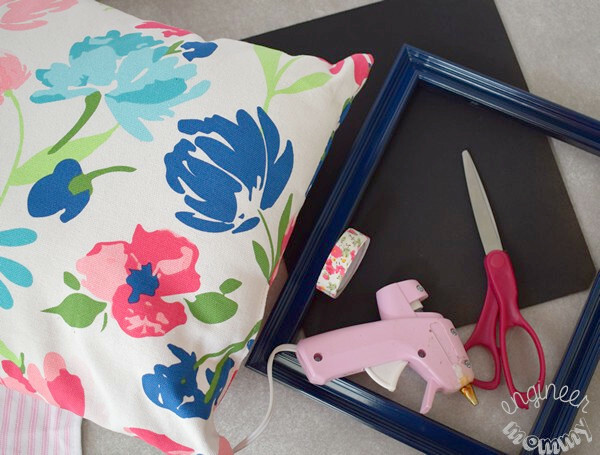 Use some hot glue to attach the picture frame to the pillow. 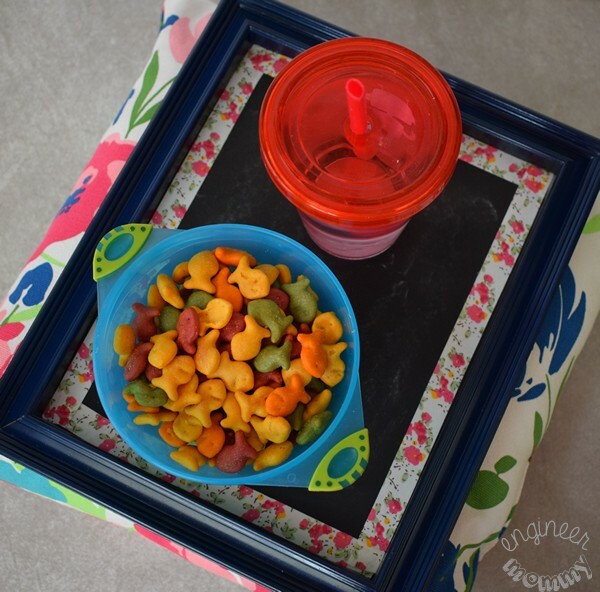 This DIY Activity Tray is actually perfect for use at home or on the go. When in the car, it’s perfect for containing my daughter’s pad of paper & colored pencils (she loves to draw & color). 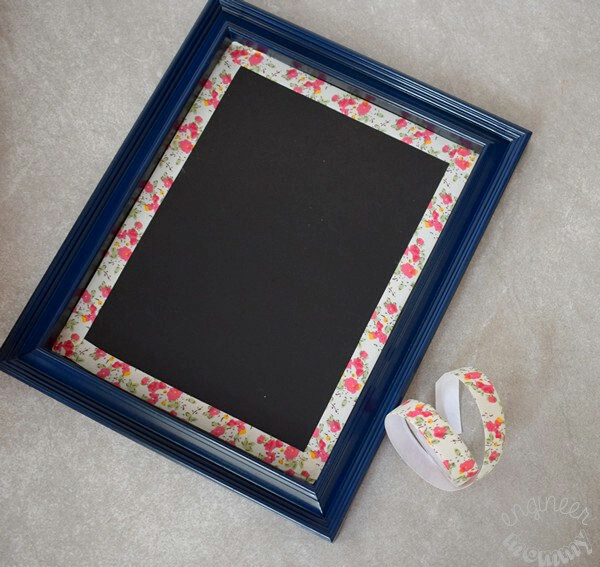 The picture frame edge keeps all the art supplies contained and prevents them from rolling off the tray. 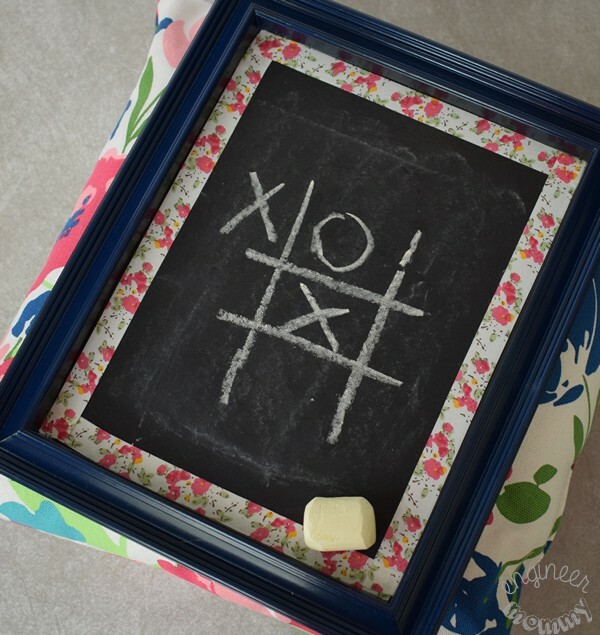 The chalkboard surface is perfect for an impromptu game of tic-tac-toe. When my daughter gets a bit hungry, I can give her some snacks & a drink in the car right on her tray. 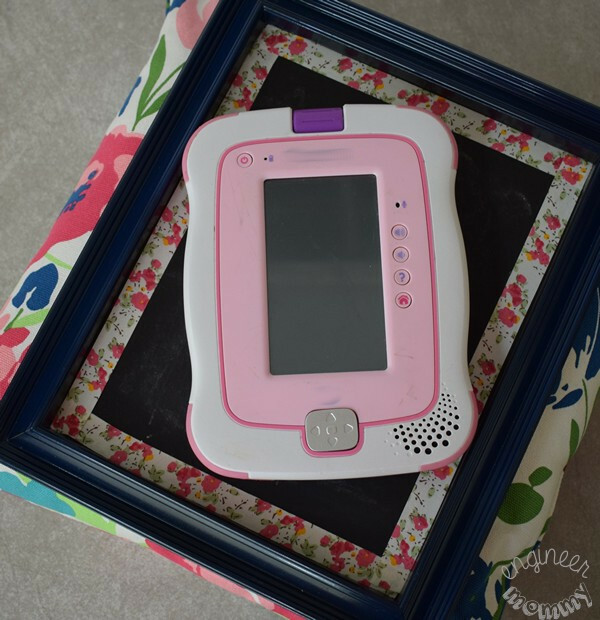 Even her kid’s tablet sits nicely inside this tray. 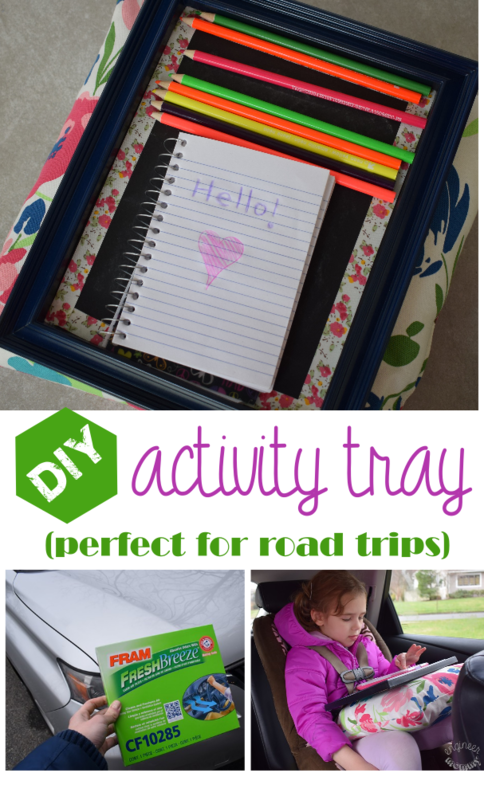 We put this tray to use during a recent road trip and my daughter absolutely loved it! Before you head out on your next car adventure, be sure to pick up the FRAM Fresh Breeze® cabin air filter from Walmart. 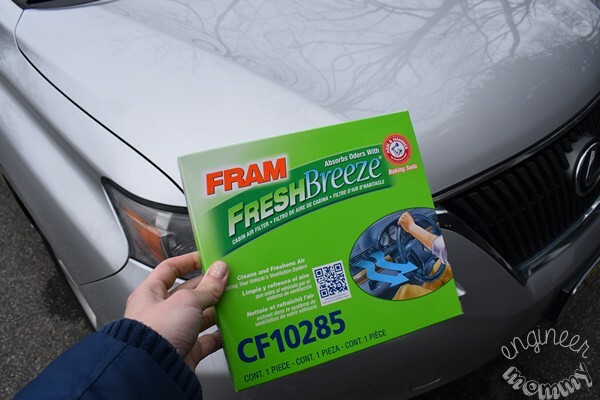 Find out more about why FRAM Fresh Breeze® cabin air filter needs to be on your next shopping list and tell me: Do you plan on doing any road trips this year? 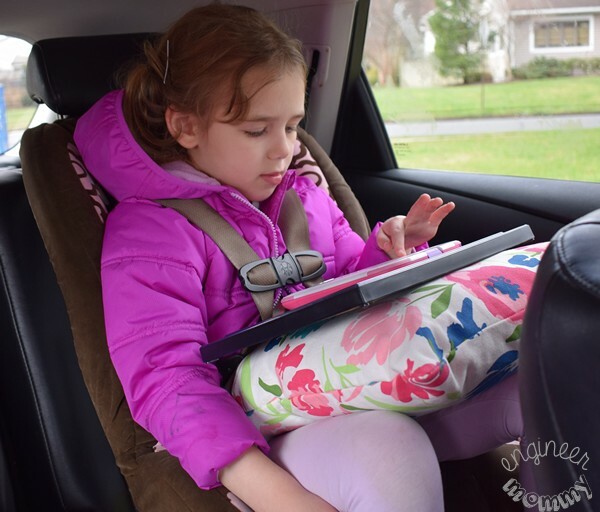 How do you keep the kids entertained in the car? AN activity tray for the car is a great way to keep the kids busy. I think my kids would love one. That is a great craft project. I have tons of frame that could be re-purposed into these trays. this would make a great gift for the grandchildren. I always love your crafts. This is so awesome. I wish I had this when my daughter was younger, although I still think she might like the chalkboard part of it. She loves writing and thinking. 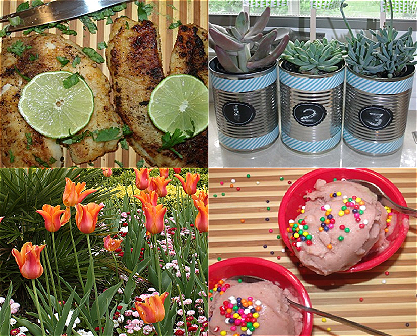 This is a really nice DIY. It is so simple to make an activity tray. Oh my goodness, I didn’t even know there was a filter there to replace and I’ve had my care of years. Love the activity tray, so cute and practical. My son’s car needs one of these filters ASAP. I will definitely be picking up one on my nest shopping trip the WalMart. 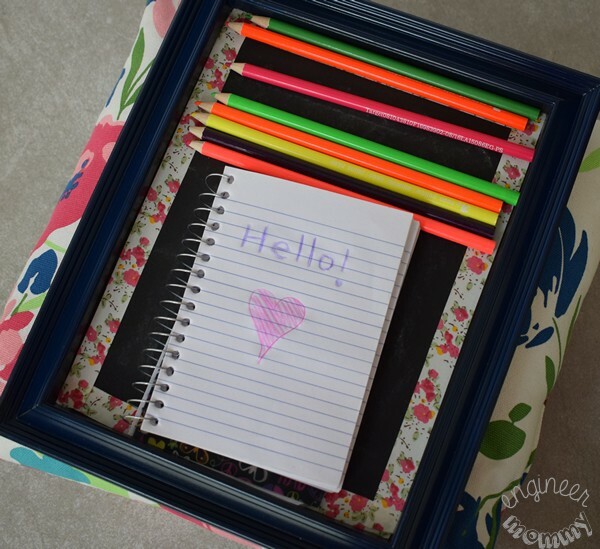 Cute DIY activity tray. Painting it chalkboard was such a great idea. I need to make this for my granddaughter for our next road trip. That is a cute little activity tray for in the car! It’s probably about time for my cabin filter to be changed too. Thanks for the reminder. 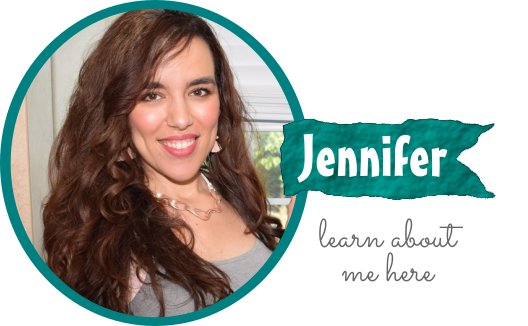 I change the cabin air filter every year in my car – it’s more important than people realize! I love the car try idea too – perfect for long car trips! Such a cute idea! This would be a great gift for family or friends with pre/elementary school age kids. Wow, this is really creative and such a good idea. I’m not very crafty so I never would have thought of this in a million years. What an absolutely darling tray! I am going to have to whip a couple of these up this weekend for my kiddos! The activity tray is a great idea. It will definitely keep the kids pre-occupied with play and will also increase their creativity with those colored pens and notebook. In addition, I would like to thank you for the timely reminder to not only spring clean our homes, but our cars as well. Replacing the car filters should be regularly done. Wow nice idea! So many use can be done through your activity tray. Perfect for toddlers too. This looks totally fun for the kids on a road trip. This is making me think I need my husband to check the air filter in my car soon. This is such a cute tray! It would be great to have for long car rides with my kids. I love how simple it was to make. What a great way to keep the kids busy! I remember how I used to struggle when I would take long road trips with my two girls. The activity tray is such a good idea. Kids get so bored in the car and this is perfect to keep them occupied.